HRCH MAD RIVER'S SUPERNAOVA MH, "STAR” IS PROVING TO BE AN EXCELLENT PRODUCER BY PRODUCING THE 2013 HIGH POINT DERBY CHAMPION, AFC KIRKWOOD'S ACE OF LONE STAR "LEXIE" WITH 77 DERBY POINTS (OPEN AND AMATEUR JAMS AT 26 MONTHS)! STAR IS THE DAM OF OUR TALENTED AND LOVING GIRL, BLAZE WHO HAS EARNED HER MASTER HUNTER TITLE AND QA2 TITLE AND NOW COMPETING IN ALLAGE STAKES. STAR HAS PRODUCED ADDITTIONAL QAA, MH'S AND PUPS ON THE NATIONAL DERBY LIST. 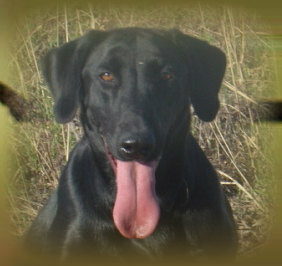 STAR IS A VERY TRACTABLE, INTELLIGENT AND ENERGETIC RETRIEVER WHO LIVES TO RETRIEVE. SHE IS IMPRESSIVELY STYLISH AND FAST. A TRUE PLEASURE TO WATCH AND TRAIN. STAR HAS AN INTENSE RETRIEVING DESIRE IN WATER AND FIELD. STAR IS AN EXCELLENT MARKER AND A TEAM PLAYER THAT GIVES HER ALL TO PLEASE HER HANDLER. STAR ALSO HAS AN "OFF SWITCH" AND HAS A VERY LOVING AND AFFECTIONATE PERSONALITY THAT IS A JOY TO BE PART OF THE FAMILY .